PLAINFIELD – Throughout his time serving in the House of Representatives, State Representative Mark Batinick (R-Plainfield) has been a strong proponent of righting the State’s financial issues, starting with viable solutions to the state’s $135 billion in underfunded pension liabilities. According to Representative Batinick, Governor Pritzker’s newly unveiled tax proposal carries a misconception that a tax increase will help fund Illinois’ pension systems. The Representative recently released a video to explain to Illinois residents the reality of the Governor’s proposal. Through his pension math tutorial, Representative Batinick illustrates that Governor Pritzker’s proposal will do little to change Illinois’ severely underfunded pensions and will only increase the State’s liability. In the video, which you can view here, Rep. Batinick breaks down the Governor’s pension proposal into simpler terms to convey the magnitude of the problem. The Representative explains that the state’s current backlog is $135 billion, and under the Governor’s proposal, only $200 million a year more will be added to the pension systems. “It’s like paying $20 a year to a $13,500 credit card bill—which comes down to paying $1.67 a month,” said Batinick. Those numbers don’t even account for the ‘pension skips’ the Governor has planned for the five state pension systems for the next several years. In addition, The Teacher’s Retirement System (TRS) is being shorted and will receive less money at the expense of the Chicago teacher’s pension fund which would receive more money under the Governor’s plan. 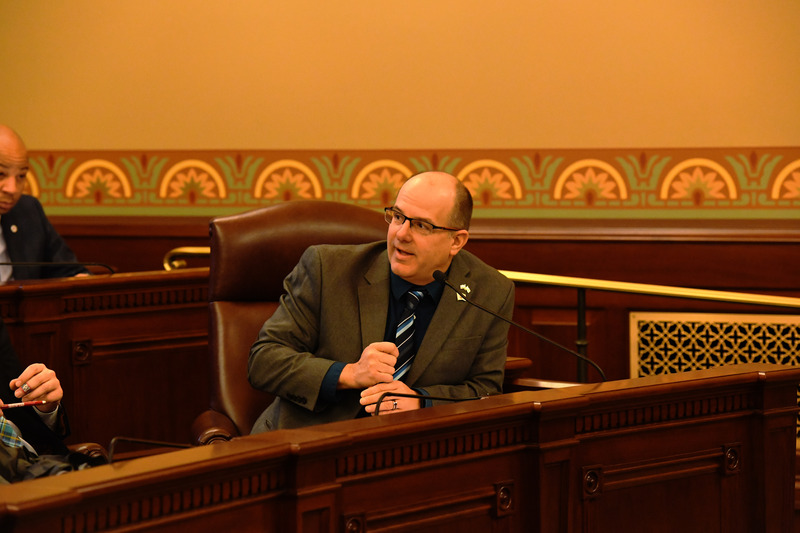 As the spokesperson for the Personnel and Pensions Committee in the House, Rep. Batinick will return to Springfield this week to actively work toward bipartisan solutions.